Despite the title, I am not going to talk about the latest video game or Monster High doll! According to authors Jo Robinson and Jean Coppock-Staeheli in their book Unplug the Christmas Machine, as early as the age of four or five kids can lose the ability to be delighted by the sights and sounds of the holidays. Instead, they may gain a 2 month long obsession with brand-name toys. Suddenly all they seem to care about is how many presents they will be getting and how many days are left until they get them. A relaxed and loving time with family. Kids prefer to be in their own homes in a relaxed atmosphere with their families. Many normal family routines are upset during the holiday season. It's important to slow down and spend quality time with your kids. An evenly paced holiday season. Remember that the holidays are a season! You don't have to visit everyone and do everything in one day. You may want to spread out your family visits out to after New Year's Day. Reliable family traditions. 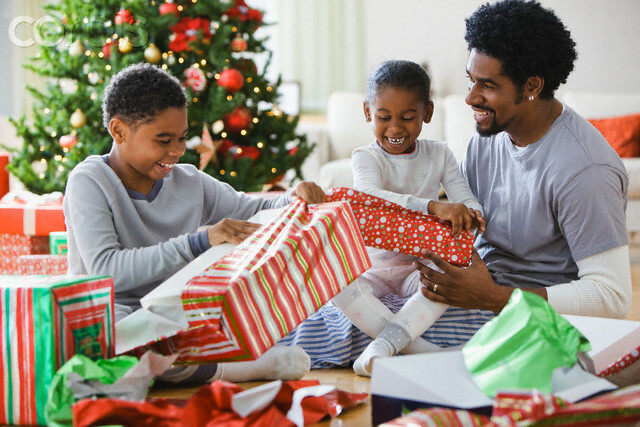 We typically remember the things we did as a family during the holidays, not the gifts received. So this year, start or renew a holiday tradition, such as driving around to look at lights, baking cookies for a neighbor, or brightening your home with home-made decorations. Children will likely remember the traditions, not the gifts. Happy Holidays everyone! A big thank you to my colleague, Janice McCoy, for the information for this article!